Handle in kit is natural. Painting it is optional, which would be your choice. Glue is NOT included in kit . These kits are for individuals who have a general concept of basketmaking techniques,and are familiar with basketry terminology. 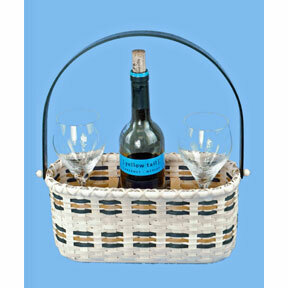 Each kit contains pattern and all materials to make the basket. ( Display items not included ).